I can remember hearing about the land of the Midnight Sun at school, all those years ago, but I think this picture illustrates so well what it must be like living within the Arctic Circle, that the sun literally never sets during the summer months. 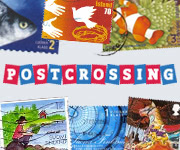 The postcard came from Finland, one of the eight countries having land inside the Arctic Circle. 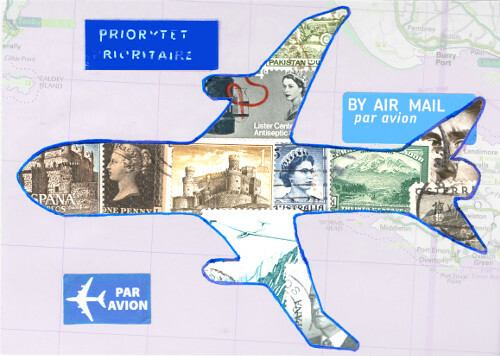 The others are Canada, Greenland, Iceland, Norway, Russia, Sweden, and the USA. A very unique card. I have friends in Canada and in Finland so that makes it special. Have a great weekend. 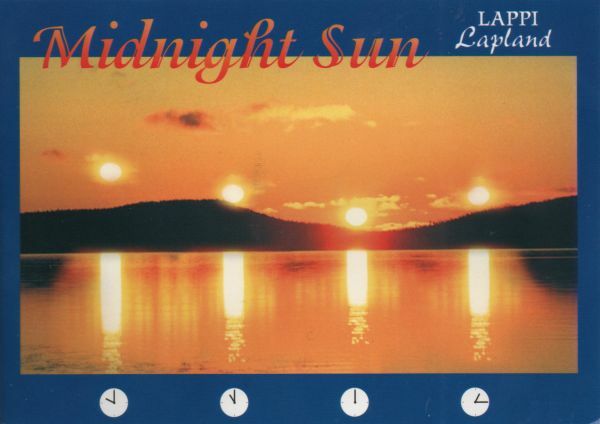 I've always been fascinated by the so-called midnight sun! Nothing like that from where I am :D Have a fantastic weekend, Sheila! Wow, very nice card, and I so like the story of the midnight sun, it is quite special! So beautiful! 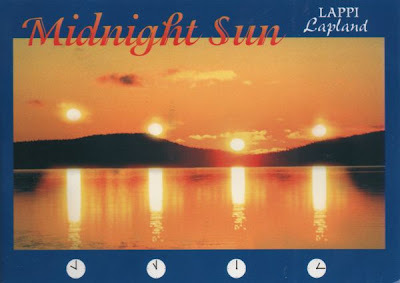 I knew about midnight sun too but have never seen it. Marvelous card. We forget about things like this ... living in light 24hours a day. Happy PFF! I like the sc-fi look of the four suns. I would have such a hard time with daylight all the time! Here in Michigan it doesn't get dark until very late in the summer - that was hard for me to get used to. Nice, nice card! Happy PFF.